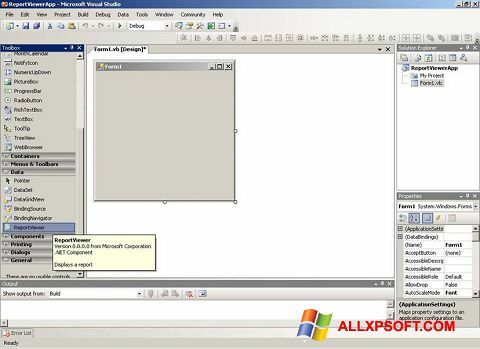 Microsoft Visual Studio for Windows XP - a universal set of tools that allows you to create applications with a flexible interface. Suitable for the preparation and deployment of web services, Internet resources, programs with support for remote access. The software interacts with most Microsoft platforms. There are refactoring tools, code editing, debugger (source code and machine level). It is possible to enable plug-ins to extend the functionality. At the request of the employee can add custom versions of tools. You can free download Microsoft Visual Studio official latest version for Windows XP in English.